Kolkata Knight Riders (KKR) will be desperate to bring two points under their belt when they square off against the in-form Chennai Super Kings (CSK) at the iconic Eden Gardens on May 3 (Thursday). While Chennai will look extend their lead at the top, KKR will be desperate to keep the winning momentum going. Meanwhile, it will be a huge blow for the home team if Nitish Rana fails to make it to the playing XI. However, young seamer KM Asif’s form will keep the CSK camp excited. The Kerala pacer, although, leaked 43 runs in three over but picked two crucial wickets. With a handsome 12-7 win-loss record, Mahendra Singh Dhoni-led side will also give some more headache to KKR. In the mid-table with six matches to go, KKR cannot afford to lose at Eden Gardens. They are bound to play three more fixtures at the home venue, in a bid to secure a maiden playoff berth under Dinesh Karthik. 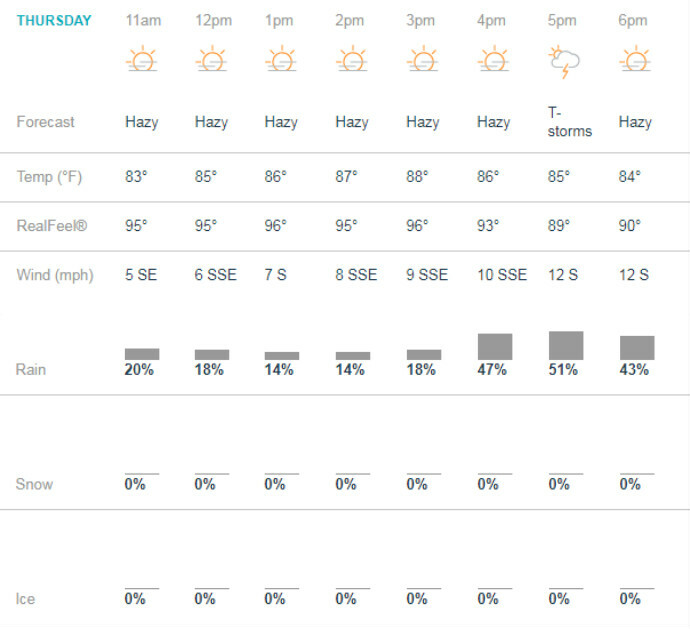 According to Accu Weather, there is not a good news for the Knight Riders fans. There is a huge possibility of rain spoiling the complete game. From 11 am in the morning to 11:30 pm at night, there are chances of heavy rain, which might play spoilsport. 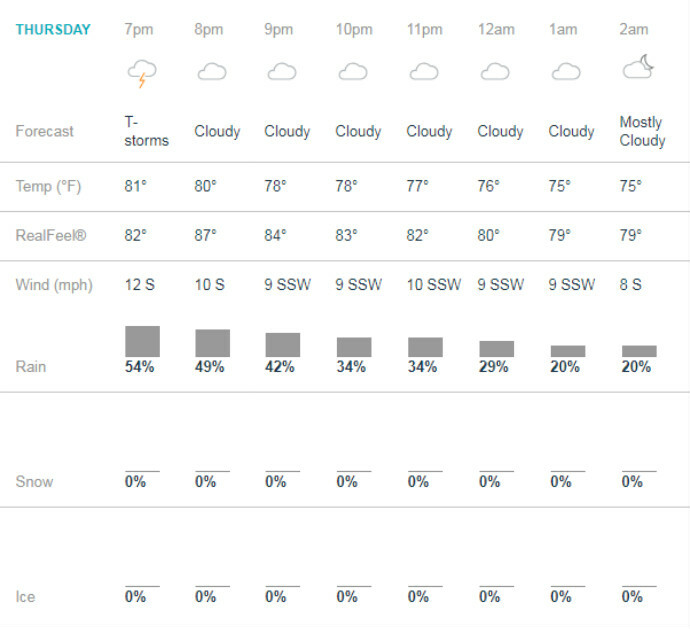 Thunderstorms likely to impose itself at around 5:00 PM and during the game, clouds will keep hovering over the stadium. It will be a bad news for the home team Kolkata Knight Riders (KKR) as they cannot afford to lose any crucial point at this stage. Ahead of the clash between heavyweights of the domestic professional Twenty20 league, CSK is topping the charts with 12 points. Whereas, Knight Riders are placed in the fourth spot with four victories under their belt.